Follow the amazing story of E.T. 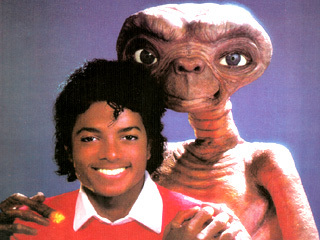 the Extra Terrestrial, narrated by Michael Jackson, and featuring the extended version of Someone In The Dark. i love michael's song "Someone In The Dark"
MICHAEL JACKSON WAS AN ANGEL IN OUR LIFE. HE NEVER COME BACK AGAIN IT IS SO SAD. HE TOUCHED OUR HEARTS AND GONE TOO SOON. I LOVE YOU MICHAEL WE STAND TOGETHER ALL AROUND THE WORLD TO WORLD KNOW YOU BETTER.